Not a day goes by that someone doesn’t ask me how I can afford to travel full-time. The life of a blogger and writer is greatly misunderstood. I tried to clear it up when I wrote the post How I Make Money. It’s Not by Giving Out Free Hugs. This post covers how I make money with affiliatnaturee marketing. I have over 200 retailers that I work with from travel like Expedia or CarRentals.com to Amazon and all the smaller merchants you love. If you click on my links, you are redirected to their website. There is a tracking code embedded in the link that pays commission if you purchase anything off of that site. This post is separated into this main categories to help you find what you are looking for. Rakuten or Buy.com: Serious amount of tech deals. Gift Card Mall: Buy all your gift cards in one easy spot! Think Geek: Best geek gifts ever, including Star Wars. Abe’s Market: Check out Abe’s Market for some pretty tasty Paleo treats. They also have gluten-free, soy-free, Vegan, everything for those of us that need to eat a bit differently. California Delicious: Organic gift baskets. 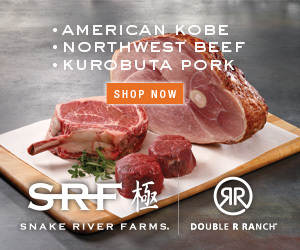 Certified Steak and Seafood Company: Go Prime and save $70! Four Certified Angus Beef Prime Filet Mignon steaks and four FREE crab cakes. Fredericksburg Farms: Country goodness, gourmet taste. Journey Bar: Savory meal nutrition bars! LobsterAnywhere.com: Maine Lobster shipped overnight to your door step. M&Ms: Design colors and graphics on M&Ms. OmahaSteaks.com: Save up to 70% off And receive free shipping on select Gourmet packs! Organic Avenue: Organic, cold-pressed juices and cleanses. Wedgewood: Dinnerware and home decor designed by Vera Wang. Beer Tubes: 3 Meter Beer Holders – pretty cool! Gold Medal Wine Club: The Gold Series is a great taste of California’s best small family-owned wineries. Plonk Wine Club: Great boutique wines. 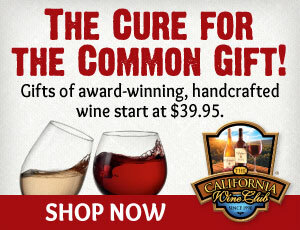 Wine of the Month Club: FREE Wine Accessory with Every Gift Membership! ForTequilaLovers.com: Store with over 300 Premium Tequilas and Mezcals. ForWhiskeyLovers.com: Taste a variety of great Whiskies you may never have never experienced. Gaiam: Awesome yoga mats and accessories. Withings: The first WiFi body scale and iPhone blood pressure monitor. Mansfield Outdoors: Everything for your tenting needs. OutdoorPros.com: Hunting & Camping Gear. FansEdge: Shop for your favorite fan gear & accessories. 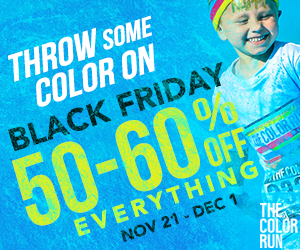 GroopDealz: Awesome clothing and accessories deal site. OnePiece: I have one – very comfy! PS I Adore You: Daily deal site that gives back to childhood cancer. Save 10% through the end of the year with Code: ADORE10. The Sox Box: My coolio Hot Mess socks are from here. Sun Frog Shirts: Epic shirts. Seriously, love them. AirBnB.com Free $20 AirBnB credit for first time users. Caesars Entertainment: Las Vegas Shows. Backpack Travel Store: Best Selection of Travel Backpacking Accessories! Biblio: Make your own book and printed products. Shutterfly: 50 Free Shutterfly Prints. Craftsy: Where you can take a class to learn something awesome, like this Photographing Wildlife Class or yarn, fabric and project kits. BirchBox: Get our Limited Edition Box Home Sweet Homespun $42- filled with ways to keep you oh-so-cozy and entertained at home! BorrowLenses: Borrow Cameras and Lenses anywhere in the world. One Kings Lane: Sign up today for a $15 credit for purchases of $30 or more. Organic Bouquet: Eco-Friendly Flowers & Gourmet Gifts. Organize-It: Storage and organization resource. Our Green House: Natural & organic products for the home. Also have baby & pet items. VMInnovations.com: A Site just like Amazon. Wayfair: Save up to 70% Every Day with Wayfair’s Daily Sales. New sales launch every day and last for 72 hours only. WPEngine.com: Best Hosting company out there. Seriously. Kristi, I love this idea! I need to make a page like this to send to my friends and family for their holiday shopping. Happy Thanksgiving, to you! Thank you for sharing this in the group. This has given me an incentive to start NOW on getting all my links together for next year (hopefully sooner). It’s been very overwhelming for me – and it’s very hard to make people I know understand what I do and how they can help. I know one person I am going to hit up tomorrow and make her understand come hell or high waters 🙂 Happy Thanksgiving to you! You’re at a place that my daughter so wants to go to – she wants to see Polar Bears :).